ASTANA – The Kazakhstan Institute for Strategic Studies under the President (KazISS) was ranked among the world’s top think tanks for the fourth consecutive year, the institute’s press service reported Feb. 4. 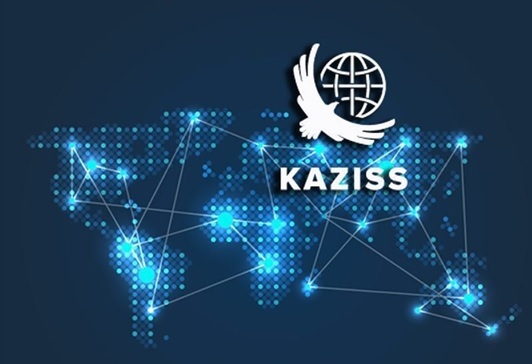 KazISS was ranked 142th among 8,162 think tanks and the second among those in Central Asia in the 2018 Global To Go Think Tank Index Rankings. The University of Pennsylvania analysed the activities of 31 Kazakh institutions. “KazISS was included in the global ranking only for certain categories and areas until 2016. 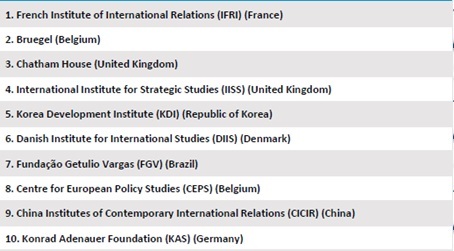 According to the results of 2015, the institute entered the world’s top 150 think tanks for the first time, taking 147th place among 6,846 global think tanks. Over the past three years, the number of think tanks participating in the ranking increased by 1,316. The number of Kazakh analytical centres in the report is growing every year,” according to the press service. Asia has experienced a dramatic growth in think tanks since the mid-2000s. “Many think tanks in these regions continue to be dependent on government funding along with gifts, grants and contracts from international public and private donors. University, government affiliated or funded think tanks remain the dominate model for think tanks in these regions. There is increasing diversity among think tanks in these regions with independent, political party affiliated and corporate/business sector think tanks that are being created with greater frequency. In an effort to diversify their funding base, think tanks have targeted businesses and wealthy individuals to support their core operations and programmes,” according to the report. The rating includes 55 different nominations combined into four groups. KazISS ranked second after Azerbaijan’s Centre for Economic and Social Development in the leading think tanks in the Central Asia group. Kazakhstan has the largest number of analytical centres in the group. Experts feel “the think tanks can provide a range of strategies and best practices for transforming public policy and institutions in an era of digital and political disruptions, as well as increased social and economic turbulence,” noted the document. The report, traditionally presented by the University of Pennsylvania, is composed as part of the Analytical Centres and Civil Society programme under the leadership of Professor James G. McGann. The Caucasus countries – Armenia, Azerbaijan and Georgia – as well as Afghanistan are included in the group of Central Asian countries in the classification ranking. The rating is compiled on the survey results of the centres assessed and more than 4,000 journalists, politicians and experts in the field of economic and political research. More than 30 different criteria are used for the rating including geographical location, functional and organisational orientation, quality and reputation of scientific and analytical work, recognition, the number of briefings and official meetings and the number of nominations for special achievements.